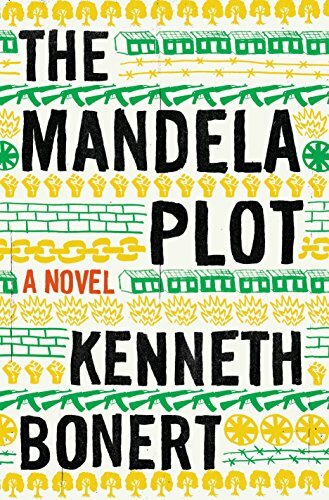 South African born Jewish-Canadian author Kenneth Bonert’s sophomore effort The Mandela Plot is a sequel to his multiple awards winning debut novel The Lion Seeker (also reviewed on NYJB) that continues the Helger family saga begun in the earlier volume in a rather dark combination coming of age story and political thriller. A concluding epilogue in the final fifth of the novel includes commentary on post-Apartheid South Africa in general and the predicament of its Jewish citizens in particular. Both novels are narrated in a patois combining Cockney English, Lithuanian Yiddish, Afrikaans, Zulu, Xhosa, Sesotho, and Tswana. Fortunately at the end of The Mandela Plot a glossary is provided. Readers should skip the electronic and audio editions of the book and read the print edition with two bookmarks, one for the narrative and the other for the glossary. Reading The Lion Seeker first, while not required, will provide readers with a more detailed background knowledge of the previous generation of the Helger family than The Mandela Plot’s adolescent first person narrator is aware of. The Lion Seeker follows its protagonist, Isaac Helger, from his Johannesburg childhood in the 1920s through his thirties in the post-World War II years, with most of the narrative occurring in the late 1930s. The main segment comprising the first four fifths of The Mandela Plot is narrated by Isaac’s teenage younger son Martin during his high school years in the late 1980s shortly before the end of apartheid. Together the two novels comprise a larger work greater than the sum of its parts. In The Lion Seeker Isaac’s nemesis at the auto body shop where he is an apprentice is an older anti-Semitic Boer worker named Oberholzer. In The Mandela Plot that Oberholzer’s son is a police captain bent on revenge against the Helgers. But Martin has a nearer nemesis in Crackcrack, an older student at the elite Wisdom of Solomon High School for Jewish Boys where Martin’s older brother Marcus was a rugby star, a campus whose hazing and corporal punishments are reminiscent of Thomas Hughes’ Tom Brown’s Schooldays. Marcus is a soldier in the South African Army stationed near the northwest border and cannot protect Martin. The young adult Isaac in The Lion Seeker is a more complex and morally flawed character than is his teenage son Martin in The Mandela Plot, though the new book is even more of a page turner with nearly every chapter’s final paragraph ending in a cliff-hanger. But there are parallels: young Isaac is the only Jew on a blue-collar shop floor, and Martin, who attended government elementary and middle schools, is the only student with a blue-collar parent at an expensive private Jewish high school. The book has some YA crossover appeal but is mainly a bildungsroman for adults. Readers Martin’s age are more likely to identify with him, but an adult perspective provides critical distance with which to view Martin’s blind spots and missteps. Like his father Isaac in the previous novel, in the main narrative of this one Martin lacks a trustworthy adult mentor and confidant. Early in the novel Annie Goldberg, an American four years older than Martin, comes to live with the Helgers while she teaches in a school in the fictitious Julius Caesar township, a black sprawling shanty-town not far from Greenside, the Helger’s predominantly Jewish middle class white suburb. The teaching job is a cover for Annie’s underground activities on behalf of the outlawed African National Congress. After a snooping Martin discovers ANC propaganda videotapes among Annie’s belongings she invites Martin to visit her school, gives him a tour of the township, introduces him to her revolutionary handlers, and recruits him to make copies of the banned videotapes after hours in his school’s AV room. To keep him motivated she sexually initiates him. Several suspenseful simultaneous subplots will keep readers wondering how Martin will endure his school’s brutal social hierarchy; if and when school authorities will discover his nocturnal video copying; if and when the police will discover Annie’s insurgent activities, and if so how Captain Oberholzer might use that against Martin’s family. The narrative’s dramatic climax will surprise most readers. After the first eight sections whose 74 chapters comprise the main segment of the narrative related in first person, in the final three sections the chapter numbers restart from one, the narration shifts to third person, and the action transpires in the subsequent decade after the Mandela presidency. This new segment introduces a new character, Norman Meltzish, a Jewish former ANC activist who spent three years in prison for his anti-apartheid activism and now is disillusioned by what post-apartheid South Africa has become, especially for fellow Jews. Meltzish’s candor might also reflect the facts that nearly half the world’s Jews live in Israel, and outside of Israel the only places both where it is safe to be visibly Jewish and Jewish populations are increasing are fewer than a handful of countries with histories of settler colonialism.